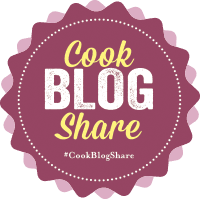 Both of the recipes that I have come up with below started life off as quite normal recipes – I can never leave well along though, and constantly have to meddle with recipes. I used Waitrose’s own ingredients for each and was really happy with the outcome – Even better, the kids loved both! I love Toad in the Hole but have to admit, its sometimes not that interesting – I added some onion chutney painted onto each sausage and suddenly the dish was so much exciting. It takes mere seconds to do and you will think the chutney will slide off but somehow it doesn’t. If it was a weekend, I may have made my own chutney but this was a Wacky Wednesday and Waitrose’s Red Onion Chutney was just perfect. Remove from the grill and leave to one side - Make sure the oven is preheated to 230C. Place an oven dish in the oven to heat up. Remove the oven dish from the oven and place the sausages at the bottom straightaway. Pour the batter over the top and place straight back into the oven. Bake for 30-40 minutes - I'm still constantly amazed that it rises and works every time but it does! I serve with corn on the cob and onion gravy - I have to admit to the lazy way of making gravy on a weeknight: Chop 2 shallots finely, sauté in a small pan then add a pot of onion gravy and top up with boiling water. Tastes delicious and a lot less faff than making gravy from scratch! 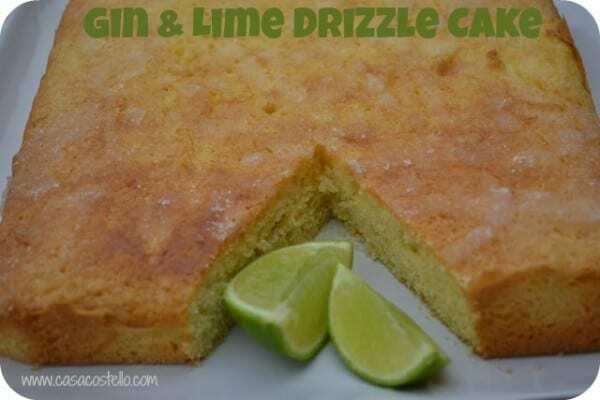 I know that there isn’t much Gin in the Gin & Lime cake but wasn’t going to chance turning my girls into zombies so baked them a simple Lime Drizzle cake – More Gin cake for me & Mr C! They were very content with their very own cake too. 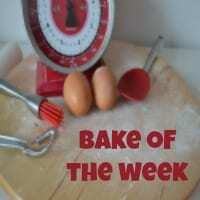 Whisk the eggs and add, one at a time whilst still whisking on a medium speed. Then add the milk until combined. As soon as the cake is out of the oven pour the sugar/gin mixture over and leave to cool in the tin. Disclosure: I was asked to recreate Great British Dishes by Waitrose and sent vouchers to cover the cost of any ingredients bought. I have never used Waitrose home delivery service before but found their customer service exceptional. Our delivery driver was super polite and friendly. 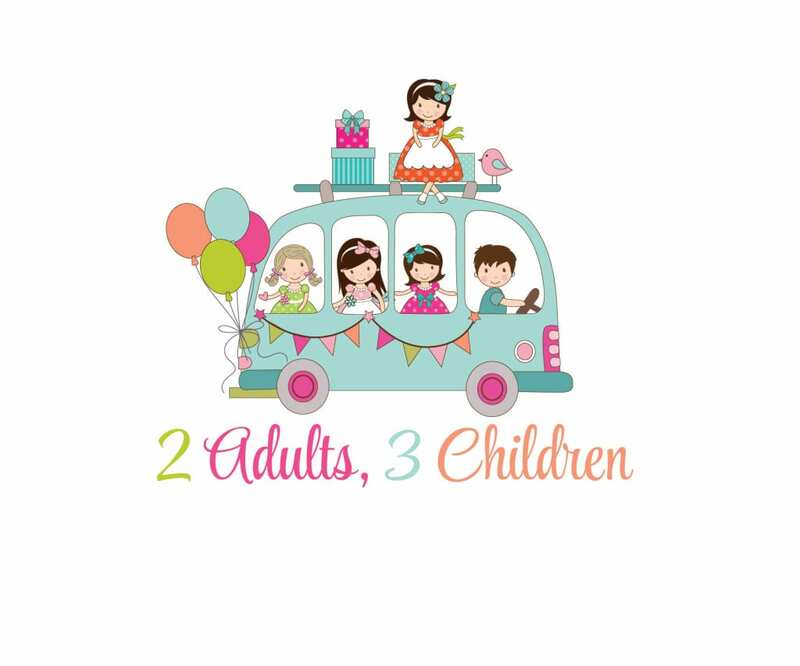 I found that there were some excellent offers on food and that the quality of the products we used was excellent. Wow, Gin and Lime drizzle cake what a great cakey cocktail! 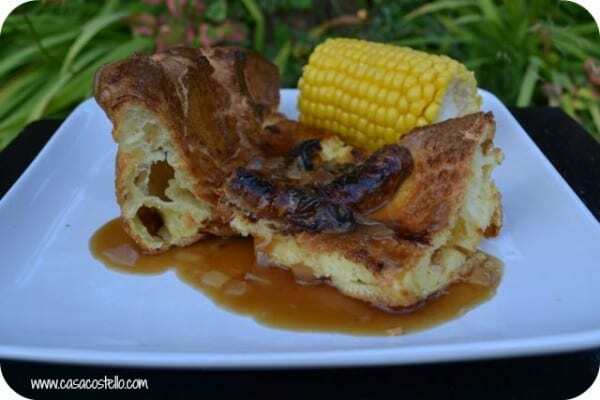 The Toad in the hole looks pretty good too, nice and high with lots of crunchy bits. 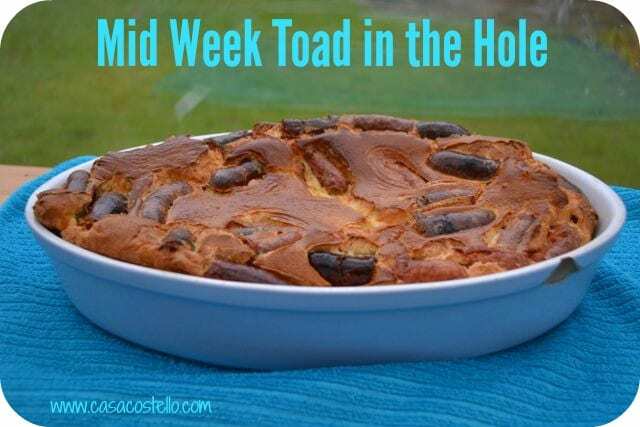 Oh, it’s the first time I heard of Toad in a Hole food/bread! 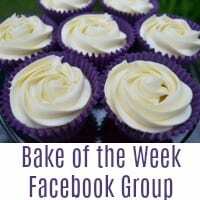 I will have to make that Gin and Lime cake for my mum, she’ll love it! 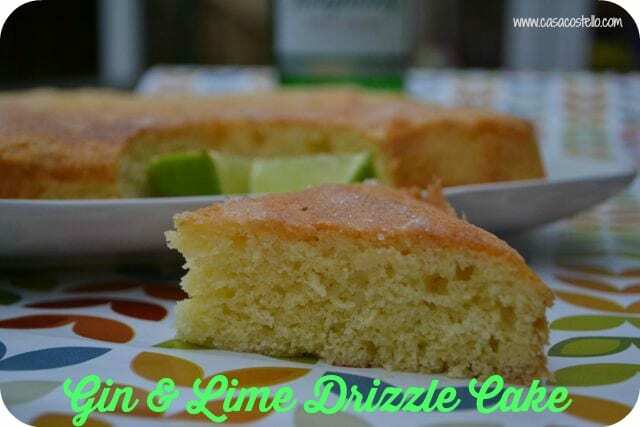 Will definitely be trying the gin and lime cake, hope it looks as good as yours. Yum toad in the hole not had that in ages I must treat myself one day.